Come with us behind the scenes of the Life on Fire Virtual Summit to learn how to put on your own 6-figure virtual summit! Virtual summits have some incredible benefits to the attendees and speakers, as well as the “host” or the business that is putting the summit on. – If using paid advertising, we’ve recently seen lead costs as low as 70 cents each! – You don’t have to create any of the speaker content if you don’t want to! My initial summit experience came out of my previous business failures and attending an inspiring and motiving business building event. I came home, narrowed my niche, made the decision that I wanted to be a Facebook marketing expert, and started working on the Facebook Mastery Summit. My first step was graphic design. I’m by no means a graphic designer, so found someone who could inexpensively create a great look for my summit as I knew that was key. Next, I used the sophisticated look of my summit to attract my “anchor” speaker (a well-known authority in my niche). And, once I had my anchor speaker locked in, it was easy to approach and get commitments from my other speakers! As a result of bring on 10 speakers, I was able to create an email list of 5,500 people, and I sold the recordings of the speaker sessions for $497 and generated $105,000! And, throughout the process of building my own business, interviewing other experts, and running my own Facebook ads, my knowledge level quickly reached “expert” status as well. Once you hold something like a virtual summit, if marketed correctly, you have the appearance of being “everywhere”. People who are in your ideal target audience, as well as other experts on your topic will have seen your ads, seen your name mentioned in multiple people’s emails, and depending on how you release the content via YouTube, a podcast, etc., you appear to be everyone from a content standpoint too. THAT is how you make a splash and enter the marketplace as a leader. Here are the steps to follow to put on your own summit! 1. Narrow your niche – You have to have a targeted message to a targeted audience. 2. Modeling – Who do you want to be like in your niche and what can you learn from them? 3. Select your ideal customer – Who do you want to serve and what do they need? 4. Name your virtual summit – What do you want to be known for? 5. Graphic design – Design matters! LeadPages is a great option! 7. 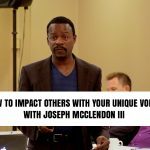 Get more speakers – Leverage your anchor speaker to get the others! 10. Deliver the sessions – This can be as easy as setting up a group phone line! 11. Repurpose your content – Consider releasing your summit content as a Podcast, a book, or even a physical training product! Now, I realize seeing this list and putting it all into action if you’ve never done it before can feel a little overwhelming, no matter how fired up you are to get it going and how much you know it can impact your business. So, I’m taking on a small group of personal coaching clients, along with my teammates Robin & Mike Pisciotta to teach you our in-detail, step-by-step virtual summit systems that we’ve both used to create 6-figure returns. However, today is the last day to get in. Get all the details of what you’ll learn before we close the doors at Six Figure Summits! We couldn’t be more excited to bring this opportunity to you! and grab one of the remaining spots and start building your authority, list, and profits today!